How bad do you need an Android tablet? 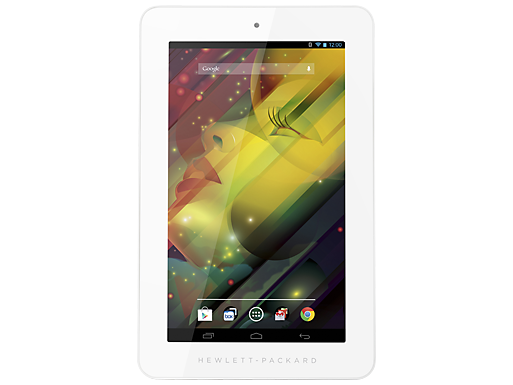 HP’s latest Android tablet isn’t packed with the latest components, but it’s cheap. The buyer gets, um, a screen, some bits and bytes, and a bezel as wide as the Mighty Mississisp’. But the HP 7 Plus is only $99. Since HP’s first consumer Android tablet, the computer maker has been content racing to the bottom with cheap tablets destined for developing regions and niche markets. Apparently HP is happy with this strategy as it has made little effort to change. Unlike Amazon, Google or Apple, HP doesn’t have a content service to recover losses from selling high-end tablets at low prices; it must turn a profit from hardware alone. The tablet rocks specs not that much better than HP’s ill-fated Palm TouchPad. The 7-inch screen has a resolution of 1024 x 600 and the package is powered by an Allwinner Technology A31 SoC that features four Cortex A7 cores clocked at 1 GHz along with a Power VR SGX544MP2 GPU and 1GB of RAM. But it’s only $99. There’s 8GB of internal storage, a microSD card slot, 2 MP rear camera, 0.3 MP front shooter, MicroUSB 2.0 and a 2800 mAh battery good for five hours of life. This tablet isn’t for Nexus 7 buyers. It’s not a good alternative to the Kindle Fire. This tablet is for those looking to buy into this so-called tablet fad as cheaply as possible but through a name brand — specs and the experience be damned, Because, you know, it’s only $99.